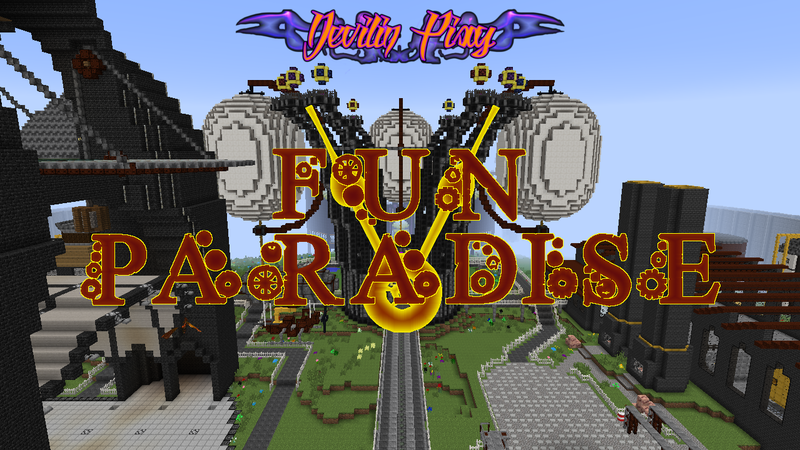 Devilin Pixy: Fun Paradise V has officially launched! Fun Paradise V has officially launched! Fun Paradise V is actually my 6th Minecraft server I am running if I include the very first 'Waterworld'. The official launch was on Monday, November 17th 2014. This time it runs my own custom modpack for Minecraft 1.7.10 with a lot of Magic, Exploration and only a few fun Tech mods. This time PvP outside of the Spawn dimension is allowed, which is a first time we actually have PvP enabled on the server. The modpack is stable enough to play with, although plenty of bugs still need to be fixed by mod developers. Updates will be scheduled every two weeks for now. More info can be found on the forum.